USA Child Tax Credit & Refund | Are You Eligible? | Philip Stein & Assoc. As a U.S. citizen, you are obligated to file an annual tax return to the IRS regardless of your country of residence. The child tax refund is included in your annual tax return. The IRS grants refunds up to $1,400 for each child under the age of 17, determined by parental income. This credit can be claimed retroactively for up to 3 years. The child had to have been a U.S. citizen or resident (with a SS #) for the year you are requesting the credit. Our associate will fill out your annual tax return to ensure you receive the maximum allowance possible. 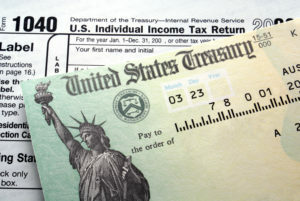 The IRS will deposit the refund in your U.S. bank account, or send you a check by mail. By not filing in a timely manner, you will lose the opportunity to claim this refund. To check your child tax credit eligibility and learn more about the rules, contact us.